OH WOW.. I knew it had been awhile since I blogged but JULY??? So sorry to my clients that didn't get showcased, so sorry to new clients who might not have seen my newest work.. Just sorry in general. I promise to try harder to update the blog. 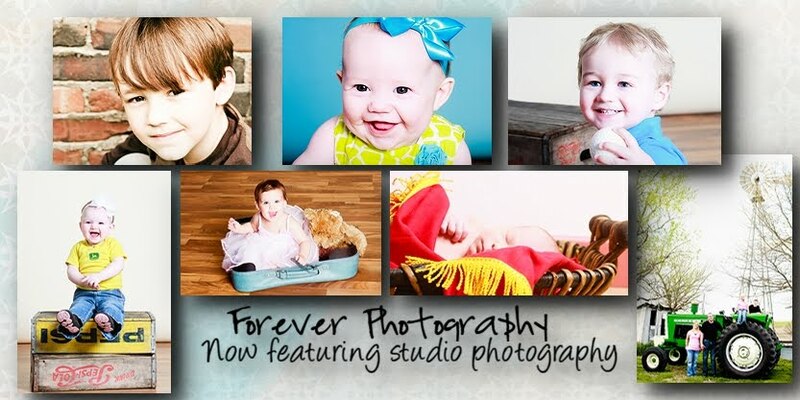 My name is Kelly Stevens-Comstock and I'm the owner of Forever Photography which serves the Oskaloosa, Iowa, and surrounding areas including Ottumwa, Pella, New Sharon, Knoxville. I am available for weddings and portraits outside of this area also. You can email me at: kelly@theforeverphotography.com, or call me at: 641-295-9682. I'd love to meet you and schedule a session to take your pictures. Cyndy Hanselman New Sharon, IA 641-660-4376 Dresses, tuxes, invitations, veils, and much more! Think you want a $400 wedding package?